Want to know the best reviews about your cell phone. ASKAFAQ will always have a fresh story or review about a cell phone related topic. Know if your cell phone got a good or bad review. 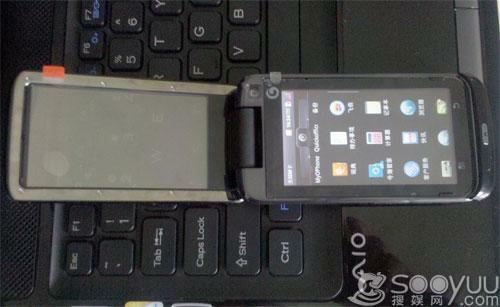 Remember the Motorola MT820 that got leaked in China last week? Well, for some mysterious reason it's now adopted a new name -- MT810 (but with the same codename, "North Sea"). According to IT168, the tipster isn't exactly clear on whether the two model numbers refer to the same hardware configuration, but a quick search on the Chinese regulator's database reveals just MT810, and that it'll work on China Mobile's TD-SCDMA network and WAPI (China's own take on WiFi). Going back to the latest leak: we're now learning that the camera will capture 720p footage -- apparently a first on the Ophone platform -- and a minimum of 5-megapixel stills, accompanied by an LED flash. As for the flip cover, turns out it also serves as a capacitive touch layer, while the screen underneath is coupled with the good-old resistive digitizer -- ideal for those who prefer writing Chinese with a pointy stylus instead of a sausage. Sadly, the tipster's still mum about the cover's rumored 3D filter capability, which would in theory go nicely with some live soccer on the phone's CMMB mobile TV capability, as teased by a recent commercial on China's national television -- video after the break, if you can bear the jealousy.